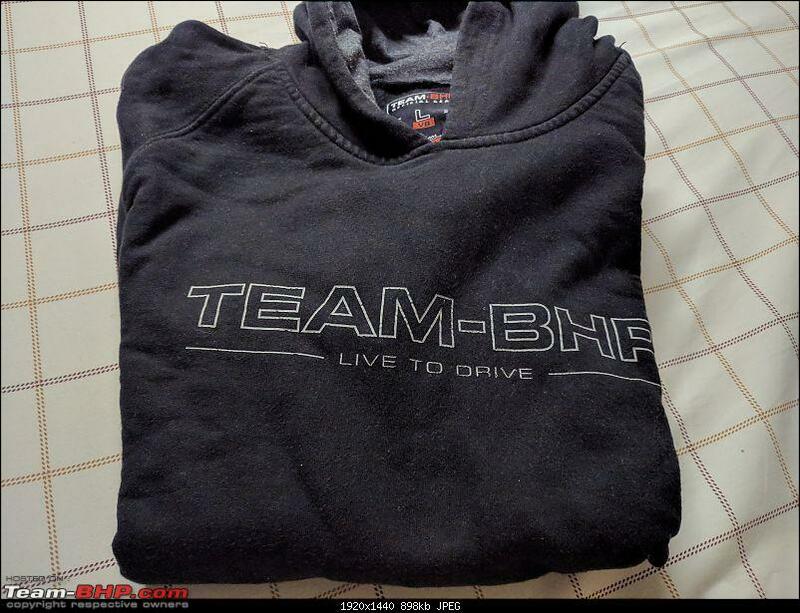 Team-BHP Official Gear : Hoodies & Jackets (v3.0)! 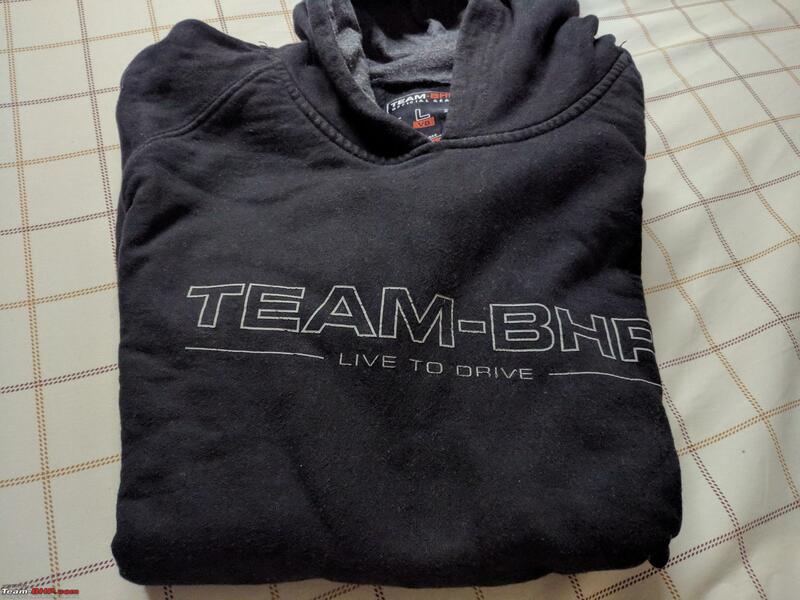 Re: Team-BHP Official Gear : Hoodies & Jackets (v3.0)! I noticed you have new hoodies but with a completely different look. Do you guys have any plans to bring back the original design but with a zipper instead? the one I bought is still doing great but is cumbersome to put on and off as It has no zipper. Was looking to buy the Red Jacket (not Hoodie) in L size. It is currently out of stock. What would be the expected wait-time. Would it be possible to subscribe for a notification when a selected color/size/variant is available in stock? Yesterday I went to see various samples of Hoodies and Jackets and shortlist one for our team. I was surprised to find a Team BHP Grey Jacket V3.0 as one of the sample. @rehaan - Not sure if this is the correct way to use it. So, wanted to bring it to your notice. Was looking for Team BHP stickers when I saw the hoodies and jackets, they looked fantastic on my mobile. I have ordered a blue hoodie to use at airports and in the flights, I'm sure the quality will be top notch. It should get delivered before I'm home from Mexico, fingers crossed the size fits. Wondering if there is a return policy for a size exchange in the rare case it is needed? v2 & v3 Hoodies are an evolution of the original. They are very similar, but just improve upon the design (eg. making it easier to put on / take off, secure items in pockets, etc). I think if you want something similar to the v1, check out the Anthracite Grey one - it's similarly understated. We produced quantities of each colour according to this poll we took. Unfortunately, the demand for Red turned out to be a bit more than projected. We won't be re-stocking them. Our manufacturer is based in Mumbai, and given your location, i assume you went somewhere in Bangalore? Not sure how they got their hands on it. Maybe they ordered one? Do PM me more details if you can. ...fingers crossed the size fits. What are your height / weight & body-type like? If you share that info, it'll be a lot easier for us to tell you which size is ideal. You can mail the store these details if you prefer. Last edited by Rehaan : 10th November 2017 at 17:15. Indeed similar but not the same. No problem. Thanks for your response. Ordered a Navy Blue jacket on 1 Nov. Like other car parts, waiting for this one is really getting tough. Any news on when it ships ? My order details -- Order #200028386. Thank you and hope winter can wait. Hope i receive it before my trip to Coonoor mid of next month. Will you be restocking 3XL (Grey/blue) for either the hoodie or the jacket? Any news on when it ships ? Being printed right now. Should ship at the start of next week! Yes, you should receive it by then! Unfortunately those sizes are sold out for this season. However, our 3XL is very big, and our 2XL is pretty large too. Eg. if you are 5'10 and 95 kgs, the 2XL could work for you as well. Do share your height/weight here or via email to the Store, and we'll be able to guide you better. Hi Rehan, i am 5'9 110. Ahh. Don't think the 2XL will work in your case, but hang in there. We should have some other options for you soon. Hasn't shipped yet. Winter has set in here. Can't wait to flaunt the jacket. For reference: I'm 5'8" and 66 kg. Sir, I have a small question. Is the hoodies' size given on the size chart in-accordance with/similar to other hoodies available in the market? Because, to find my correct size, I checked one of my hoodie's size tag and it reads "44". I am asking this because, size-44 translates to your hoodie's XL size. I was bit shocked because I am a thin-built, but ~6'2" tall. Hence I am having trouble to find my correct size. Please somebody help me. Thanks. One quick thing for the mods: At the time of ordering, the billing and shipping address-line fields (both 1 and 2) are a tad too short and allow very less number of characters. Had to squeeze in spaces and commas and omit some details to accommodate my address. Hope this would get addressed. Edit: @Rehaan, is there a chance that the "S" sized ones would be made available again? Looking at ordering one for the wife. Last edited by Driving_Nomad : 29th November 2017 at 22:32. All times are GMT +5.5. The time now is 04:15.